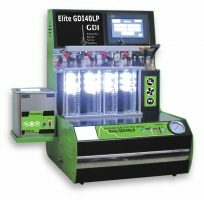 Measure injectors resistance function and see EACH injector resistance data for analysis. 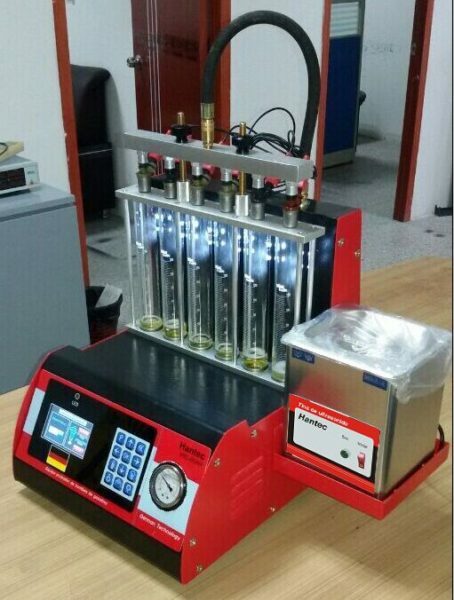 Test injector idle speed, medium speed, high speed, dribbling test, accelerated test, simulating the runing conditions of engine, cumulative flow test, user setting manual and automatic procedure mode. Test and clean MPI, SPFI, TBI, CFI, Motorbike-injector, LPG, K-jet, L-jet etc. 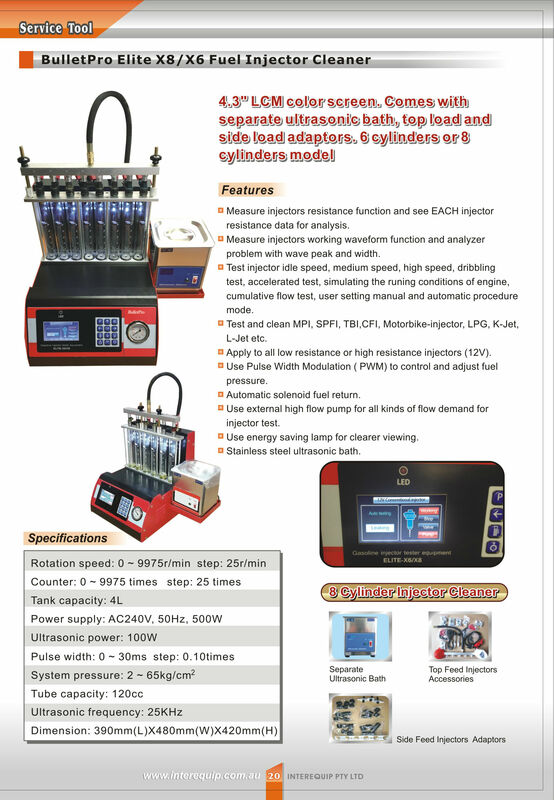 Apply to all low resistance or high resistance injectors (12V). 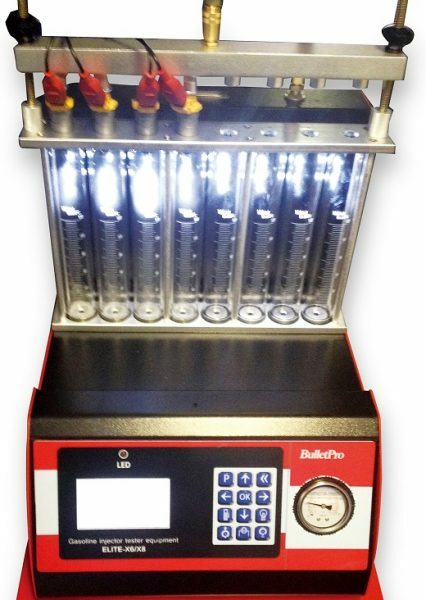 Use Pulse Width Modulation (PWM) to control and adjust fuel pressure. 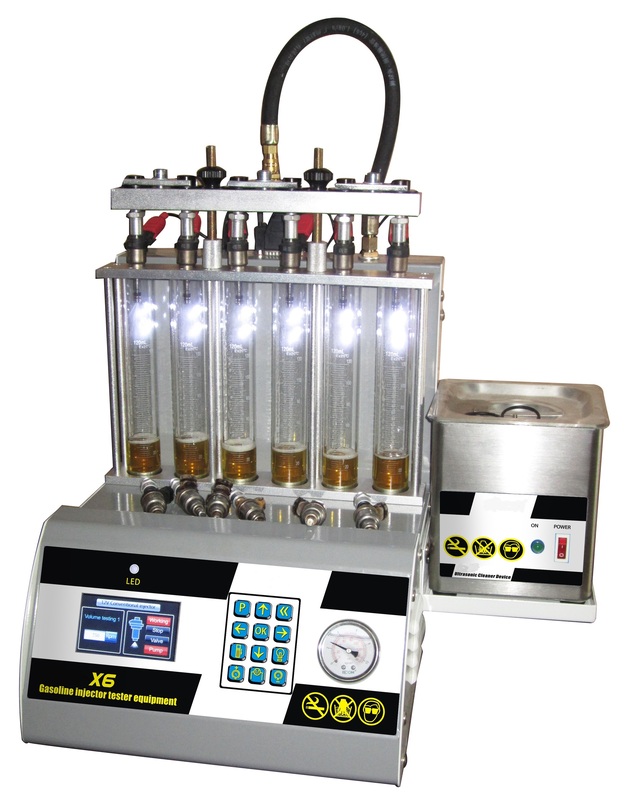 Use external high flow pump for all kinds of flow demand for injector test.